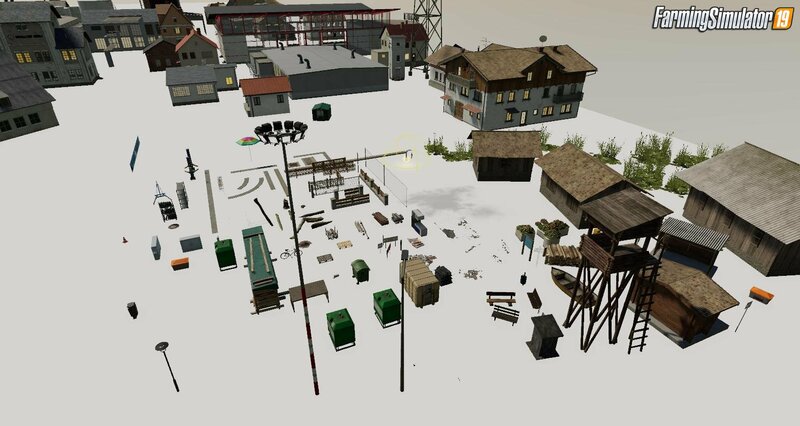 Mod Map Template Objects v1.0 for FS19 | Farming Simulator 2019 game. I've got all (I hope so) at least objects of the German Giants Map in one place. Do you only need to import. There are no textures, here are directly referenced in the installation folder. Is not really sorted ... but since the GE crashed after an hour of laborious work, then I had no desire to make everything again, so here only a "fast" variant. PS: I still have to see if there are other buildings on the US Map (I hope so). There comes vlt. also a small update. Installation instructions for «Map Template Objects v1.0 for FS19» - Your first action will be to download the archive using the appropriate button below. Mods on our site are virus-free, and 99.9% have any extension other than “.exe”!